You’re going to think I’m on a special mission. 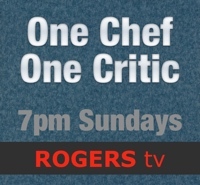 A mission to ferret out every decent eatery – no matter how tiny or how modest – to be found in the strip malls of St. John’s. I’m not, really. It’s just that these caffs have become prominent in my field of vision when I’m navigating the streets and roads of St. John’s. Like shiny baubles they draw my ravenlike attention. 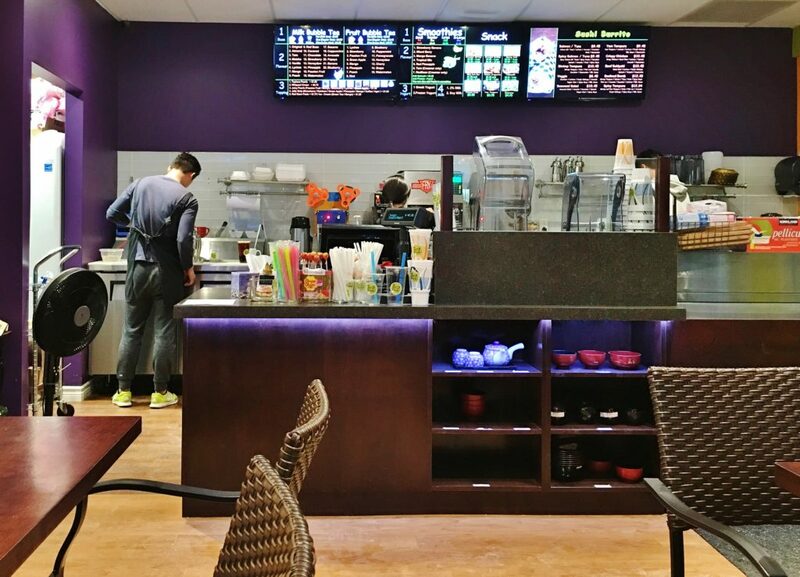 The latest bibelot is Kuma Bento on Topsail Road. “Kuma”, in Japanese, means bear, as in Paddington, Smokey or Yogi. The kuma in Kuma Bento refers to the cuteish little bear that is the restaurant’s logo. Bento is a Japanese word for a lunch of meat or fish with rice, or noodles, and vegetables. It’s often served in a small box, with compartments for each element of the meal. This box is known as a Bento box. Kuma Bento is on the eastern corner of the strip mall, across the street from New World Fitness. It’s a cheery restaurant, mainly because of the windows, but also because of its colour scheme – apricot, purple, green and blonde. The small number of tables are brown, with dark metal stacking type chairs that have seats and backs of a sort of basket weave. There’s high counter seating at the windows too. An island of shelving at the rear contains packaged Asian grocery items, like snow fungus, dried bean curd and dried red beans. There’s some junk food as well – mainly varieties of those evil, addictive, chocolate dipped biscuit sticks called Pocky. My first bit of advice to Kuma Bento is don’t leave a large sign in your front window advertising “Bento Box – Japanese Meal Box” lunches when you don’t sell them anymore, and have not done for weeks – maybe even months for all I know. For that matter, maybe the word bento should be struck from the name, Kuma Bento. After all, no box, no bento as far as I’m concerned. 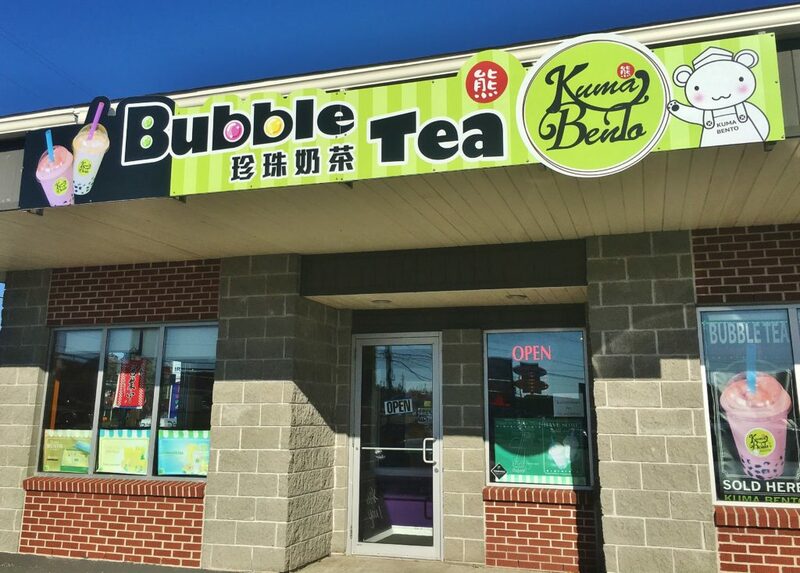 In fairness, the main signage over the door says Bubble Tea and Kuma Bento, and bubble tea certainly was available. I had a delicious, cold blueberry flavoured milk bubble tea with tapioca pearls on my first visit. 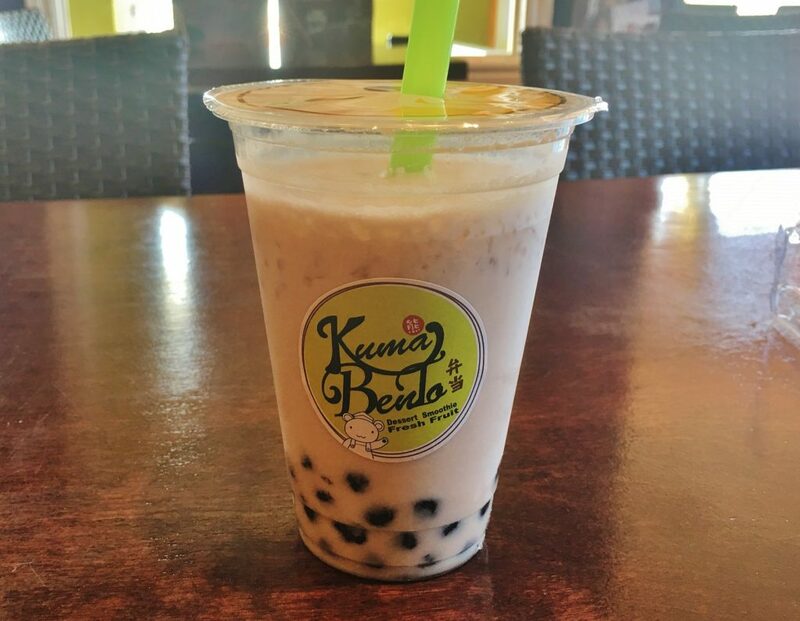 Although ice cold, milky tea is fine, it’s nothing without those big, black tapioca pearls. What could be more fun than sucking up those chewy, faintly rubbery balls with your extra wide drink straw? 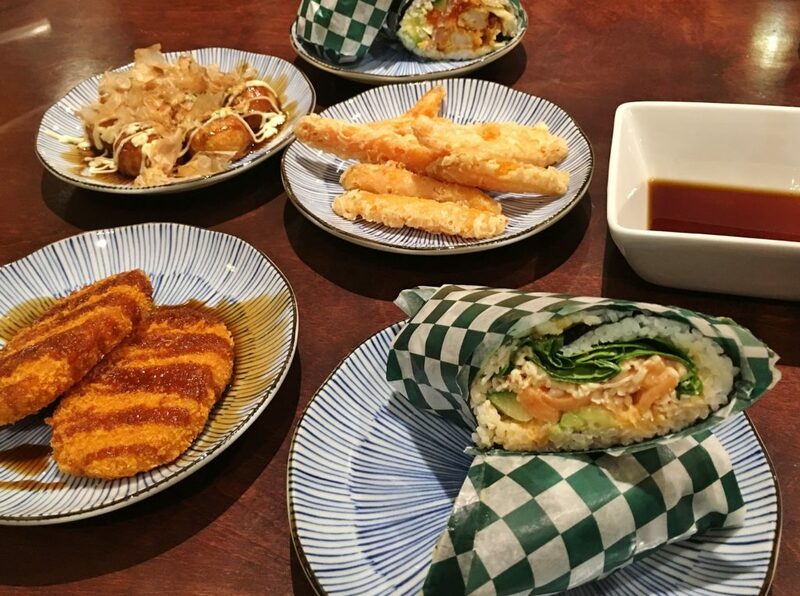 These days they have three categories of freshly made food at Kuma Bento: smoothies, snacks and sushi burritos. Spouse and I ordered a couple of burritos and several snacks. I liked everything, but some items more than others. My seafood bomb sushi burrito – which was about the size of something a Lancaster would have dropped in the Battle of Britain – was dominated by pieces of shrimp tempura calked with fish roe (flying fish roe I’m guessing) and surrounded by bits of salmon and cucumber. All of this was wrapped in sticky rice – like insulation – and given an airtight covering of nori. A bowl of soy sauce was provided for spooning sauce over the burrito as I was eating it. To be honest, I prefer the usual small, sliced pieces of sushi but, rest assured, Kuma Bento’s bomb did demolish my hunger. 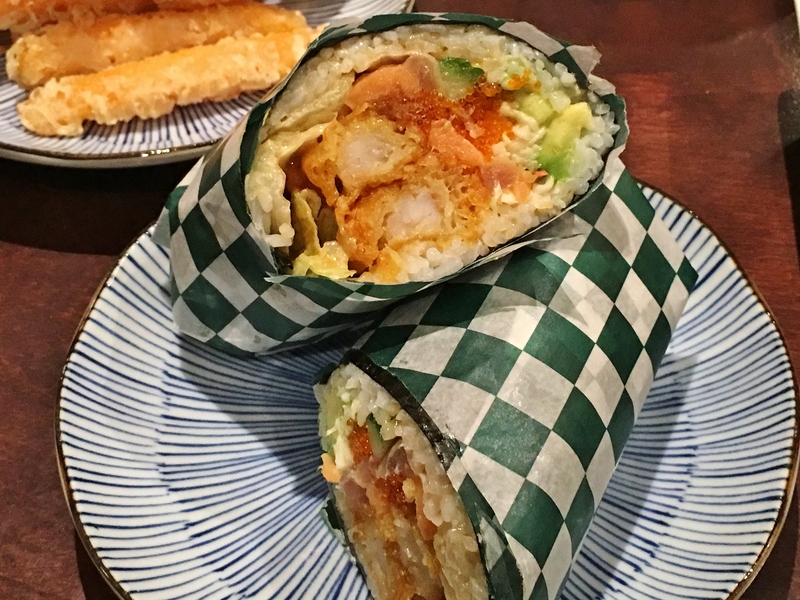 I found the salmon sushi burrito to be a little less interesting, mainly because it didn’t contain as many ingredients, and lacked the crispy tempura texture supplied by the bomb’s shrimp tempura. What’s more important though, is how it tasted. On that score, the fresh salmon – the star, after all – was succulent and rich. Kuma Bento’s sweet potato tempura came with a tepid, sweet sauce that tasted like watery molasses. It was exactly what the fries needed. 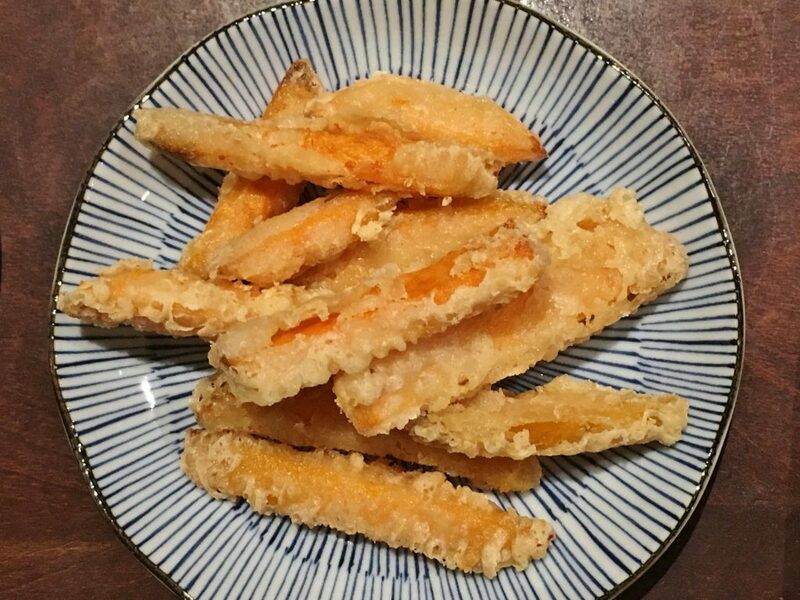 Tempura batter has great texture but falls flat on the taste buds without a little condiment kick. When you’re ready to fight with your beloved over the last chip you know they’re good. Potato croquettes come in various shapes: round, sausage and football. 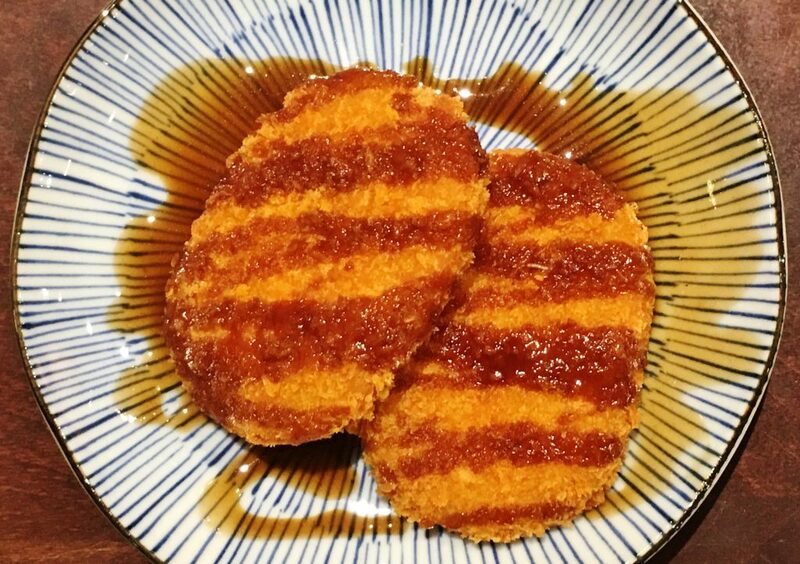 Japanese potato croquettes are often oval shaped patties called korokke. We were served two with a drizzle of sauce, edgy with smoke and perky with fruit. It may have been tonkatsu. The potato croquettes were billed as being a mixture of potato and vegetable. A few corn kernels and peas made brief appearances, like reluctant guests at a tuber party. 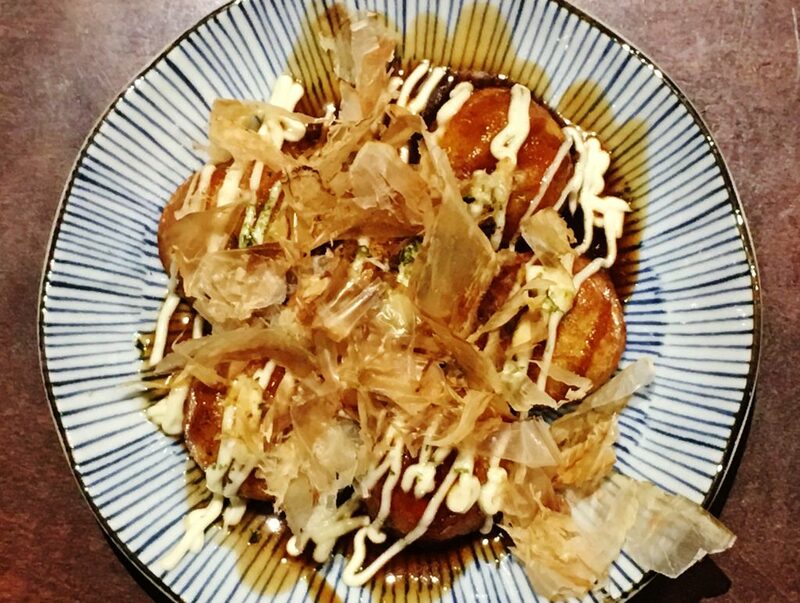 By far the best of the snack selection was Kuma Bento’s takoyaki. These were small, round flour cakes drizzled with tonkatsu sauce and a little mayo. Each umami coated ovoid, after token resistance from the crisp surface, melted in my mouth like soft butter. At the centre was the prize of one tender bit of octopus’ tentacle. I’d go back again for the takoyaki and, of course, the bubble tea. Open Tuesday to Friday: 11:30 a.m. to 8 p.m. Saturday: 12 p.m. to 9 p.m. Sunday 12 p.m. to 7 p.m. Parking Available on the strip mall’s parking lot. Wheelchair access Assistance may be required at entrance. Accessible restroom.